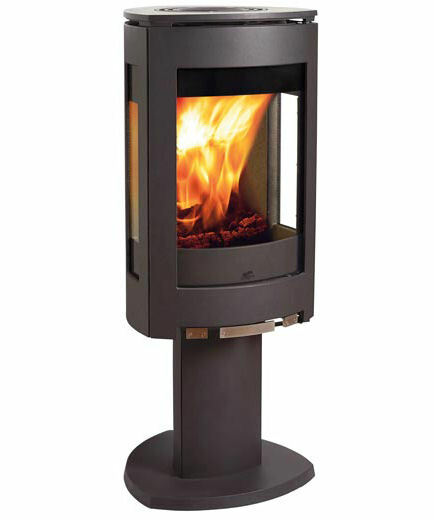 The aesthetic grace and power of natural fire becomes a fabulous focal point for your home with this decorative stove from Jotul. 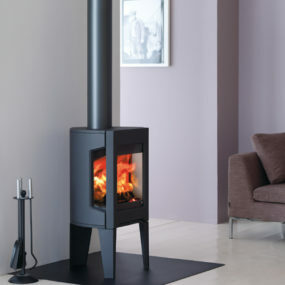 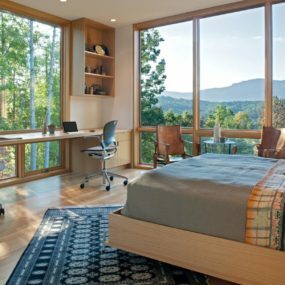 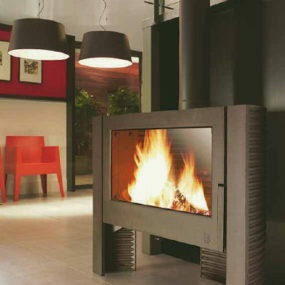 Understated elegance fills the room as the wood burning stove radiates warmth and good taste. 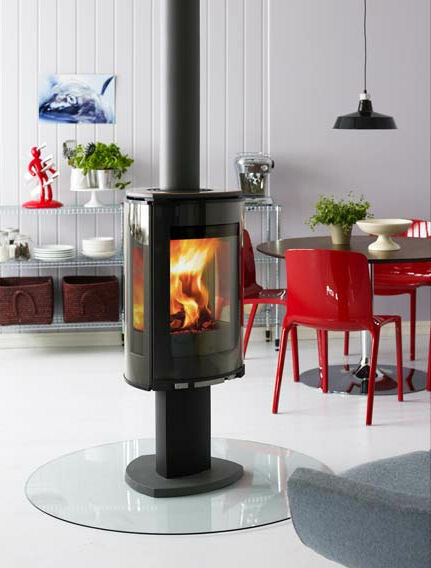 With a top flue outlet, the decorative stove become a stunning centrepiece for your kitchen or living room… and can be rotated a full 360 degrees to allow a clear view of the flames from all angles of the room. 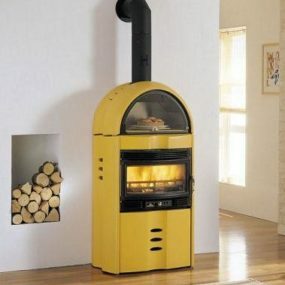 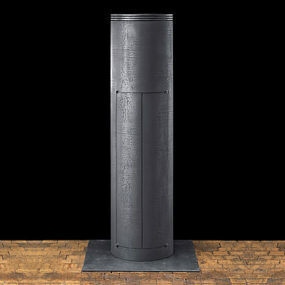 The inventive cast iron shape of the stove with large windows and an optional soapstone top can be further enhanced with your choice of decorative panels for the side windows. 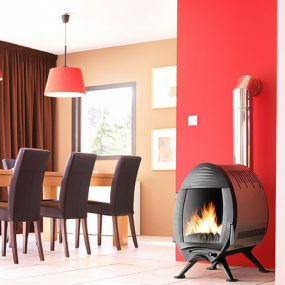 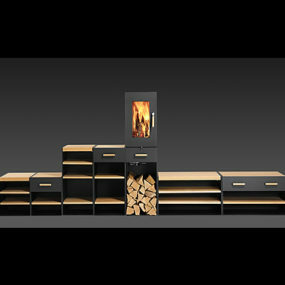 As the autumn weather becomes cooler, your family would benefit from the cheering appearance of the brightly burning flames. 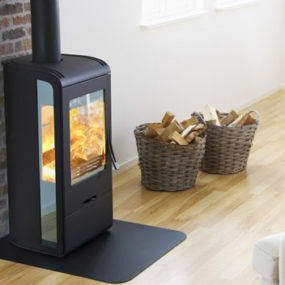 Make a wood burning stove a distinctive and comforting part of your daily routine with the Jotul F-373, available from Jotul.